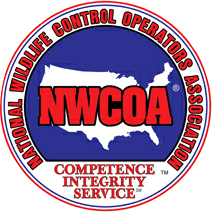 Hogarth’s Wildlife and Animal Removal specializes in Bat removal. While there are thousands of species of bats around the world, the Little Brown Bat is the most common in Northern Michigan. The Little Brown bat is a small to medium sized bat with an average life expectancy of 2 years. Bats are the only mammal that can truly fly. They are nocturnal and hibernate during the colder winter months. The Little Brown Bat typically gives birth to one pup between May and July. They are typically found in homes and buildings, and can live in colonies up to 500. Bats forage for insects at about 10-20 feet over trees and lawns. People often see them when sweeping low over water to drink. Bats can enter a structure through an pencil-size opening, or through an open door or window. Primary entry locations include attic vents, facia boards, soffit corners and chimneys. Entry points may also be above gutters, roof vents, exterior high hat lights, and ridge caps. Common entry point identifiers are droppings and/or rub marks on the structure. 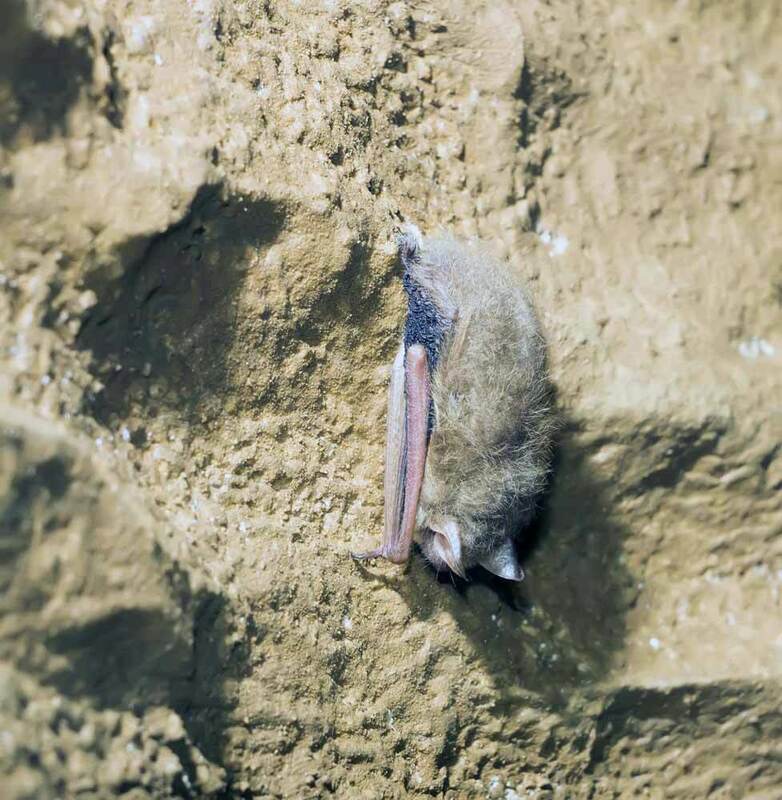 A preliminary bat inspection is necessary to identify current and potential bat entry points from the exterior that lead into the interior of the structure, prior to performing any exclusion, eviction, and/or venting. A preliminary inspection may also reveal evidence of structural defects or contamination within the structure. Bats can carry rabies and transmission to humans may be possible if any physical contact has been made. Clients should always take every precaution to avoid direct contact with bats and should contact a professional at the first available opportunity if they know or believe physical contact has been made. 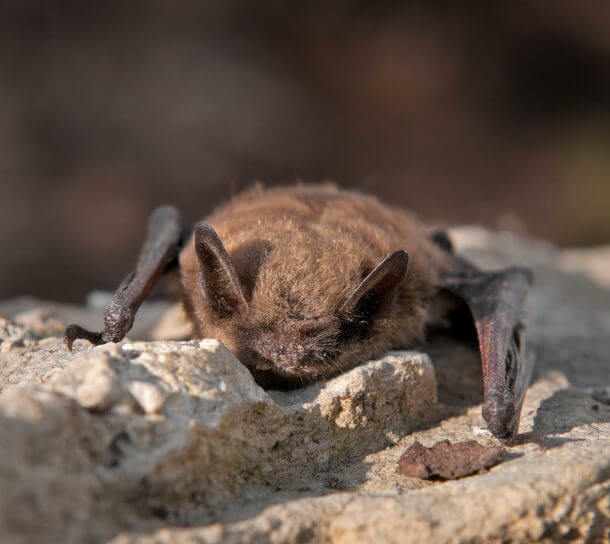 Bat droppings, or bat guano, may also be hazardous to humans through exposure to histoplasmosis. Health risk is based on the amount the amount and location of bat guano, and if any disturbance of bat guano has been made. 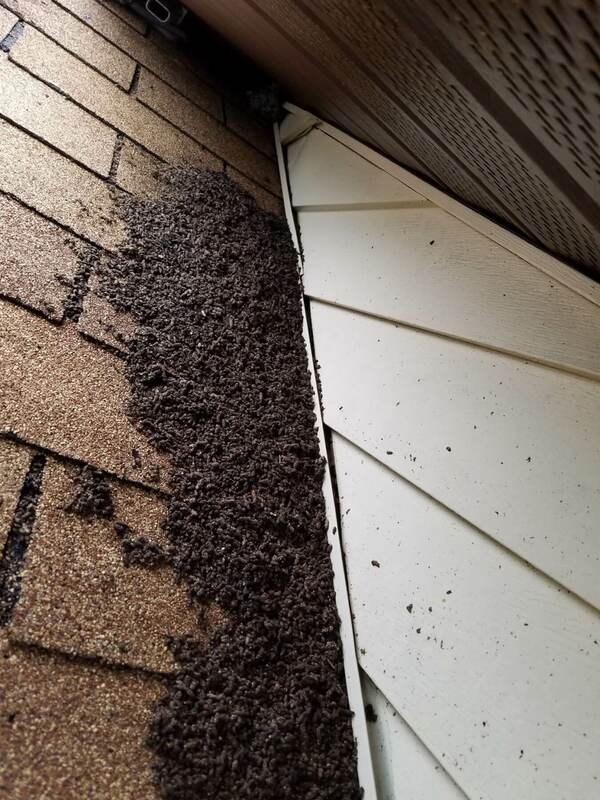 Bat exclusion is the process of sealing, caulking, screening, and/or venting all potential bat entry points on the exterior of the structure. This is to evict the bats and prevent future entry. Removal is often done through the use of one-way exit devices that allow bats to leave the structure but not re-enter. Bat trapping is not a biologically sound method of eviction and is not used or promoted by Hogarth’s Pest Control.